A change of scene and rank do not have the power to make any difference to Bajirao Singham’s deportment. At 2 hours and 22 minutes, 'Singham Returns' feels long and occasionally plodding. There are some nice scenes that inspire police pride, but the predictable story tires you out eventually. I'm going with two-and-a-half out of five. Watch Singham Returns for all the entertainment that Rohit Shetty can bring into a film. You cannot not enjoy this film. We give it a big Thumbs Up!!! Doubtlessly 'Singham Returns' is in no manner at par with its prequel but it's the sinewy and praiseworthy performance of Ajay which makes it . Yo, Rohit Shetty, what’s with the volume, bro? Watch out for the part when Bajirao Singham shouts out Daya darwaza tod do""
Though he does not roar "Aata majhi satakli" with the same intensity that he did in the 2011 released 'Singham', in 'Singham Returns' inspector Bajirao Singham (Ajay Devgn) clearly makes his stance clear that the lion rules the roost. The sequel to Rohit Shetty's 2011 hit, Singham, hit theatres on Friday. 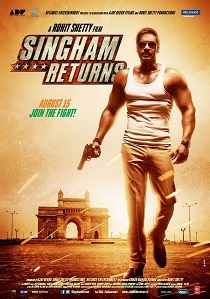 Singham Returns offers some good action sequences, but does not quite match the humour and fun that Singham offered. Read the complete review. A virtuoso spectacle of sound and fury that adds to the glory of the immensely popular btown brand ‘Singham’. 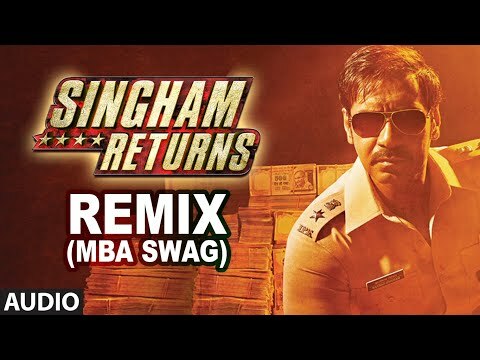 Reliance Entertainment, Ajay Devgn Films and Rohit Shetty’s ‘Singham Returns’ is a pounding, action packed, raw, massy roar celebrating the cinema of yore. If you are a Singham fan, you'll enjoy this one too.